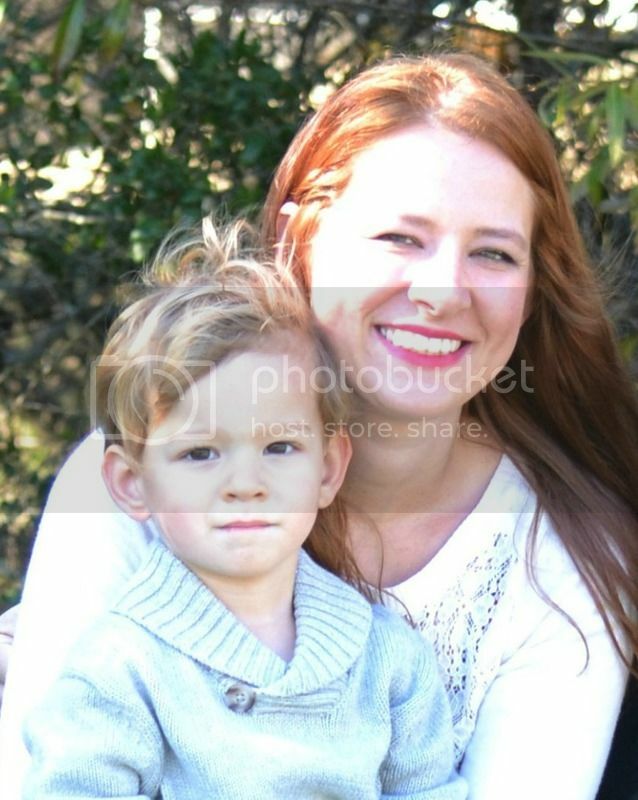 As a mother, blogger, and total Type-A personality, I live for lists, particularly those that highlight the best of something! And since I love sharing my favorites here, I thought I would turn them into lists and make a weekly thing of it. So starting today, Wednesdays on The Everyday Momma will be 'The Wednesday Hit List'! My first Wednesday Hit List is going to be My Top 5 Most Repinned Pins on Pinterest. If I am being honest, about 90% of the traffic to my blog comes from Pinterest, so I will be sharing the pins that get me most of that traffic. This is my top repinned pin on Pinterest. These were made for Myles' first birthday party. I put some different snack in sand buckets and made the food tent labels using wedding place cards with stamps and my handwriting. 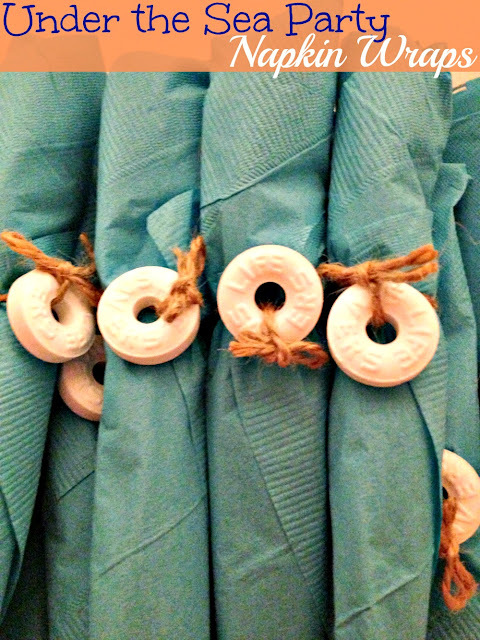 This DIY was apart of a Summer Fun Series I did with some other blog friends a few summers ago. This particular week we were to come up with a fun activity or craft using old plastic bottles. 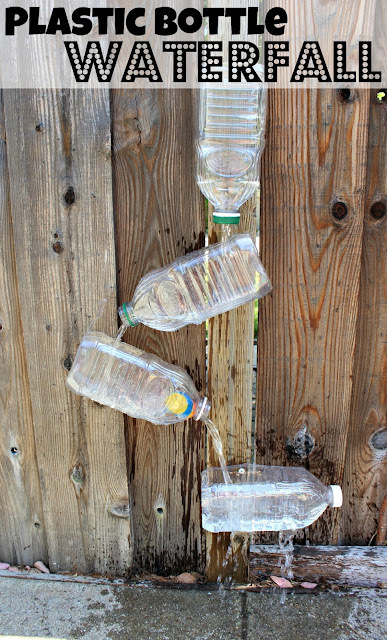 Myles had too much fun helping us make and then play with this Plastic Bottle Waterfall. 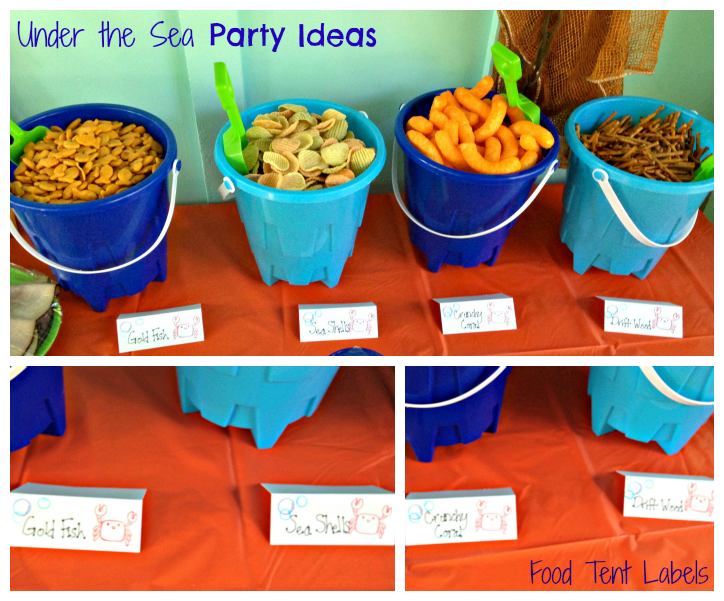 This pin is another DIY from Myles' 1st birthday party. Putting these napkin wraps together was actually pretty fun and you can't go wrong with the convenience of silver wear, napkin, and mint all wrapped into one when it comes to managing a huge party! This is one of the first recipes I shared on my blog... and I think it's pretty obvious! 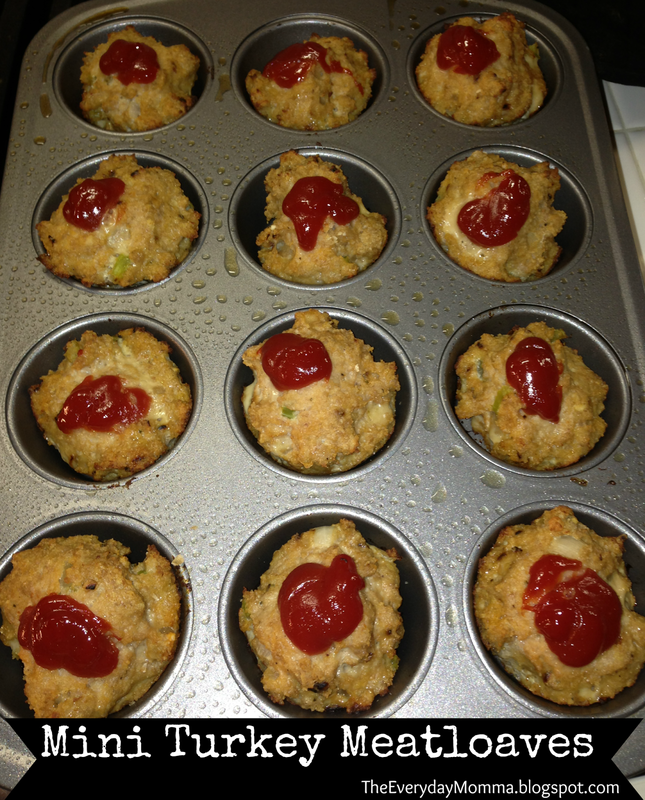 Despite the horrendous picture (composition and quality), Mini Turkey Meatloaves still my most popular recipe on Pinterest. It is still a big hit at home too! 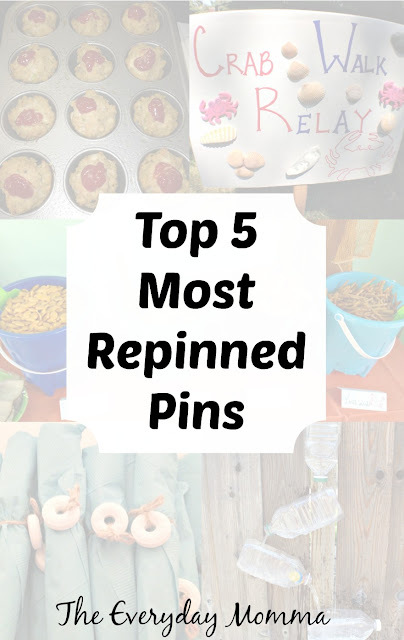 My number 5 pin is another one from Myles' 1st birthday party (parties a popular!). This was the sign I made for one of the games we made up to play at the party: Crab Walk Relay. It was a relay race where everyone could only do the crab walk! 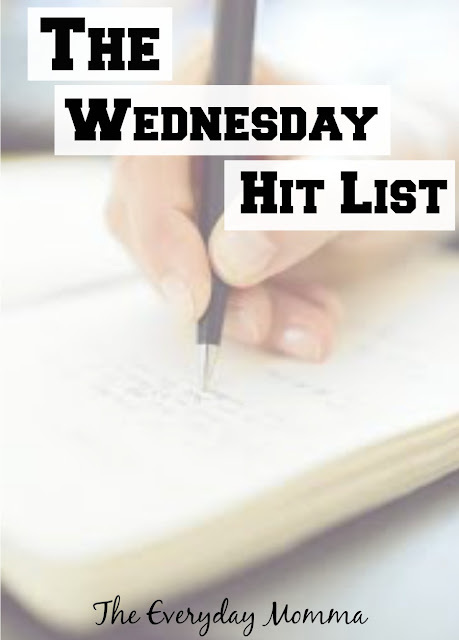 I hope you enjoyed the first edition of The Wednesday Hit List and I also hope you'll come back for more! Also I am thinking about eventually turning this into a link-up if anyone is interested in sharing in the future or even co-hosting with me! Let me know in a comment or email!